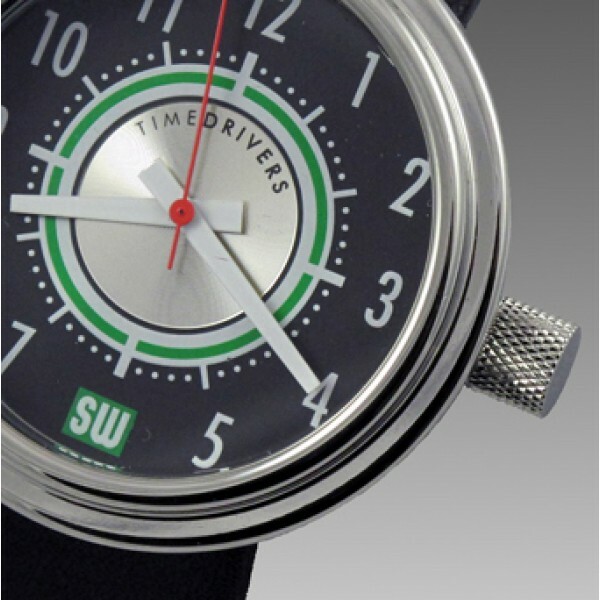 Under license from Stewart Warner, Timedrivers’ contribution to its Stewart Warner line came from the late 60’s/ early 70’s gauge named the Green Line. 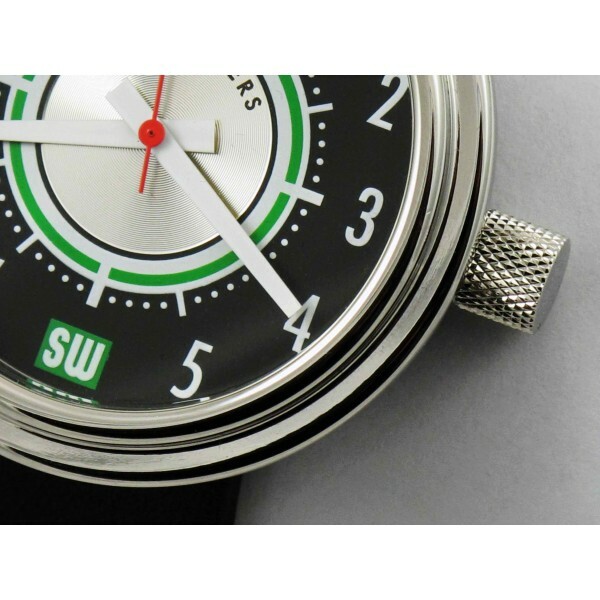 Designed for the muscle car and high performance car owner, it was very popular and remains one of SW’s best sellers. 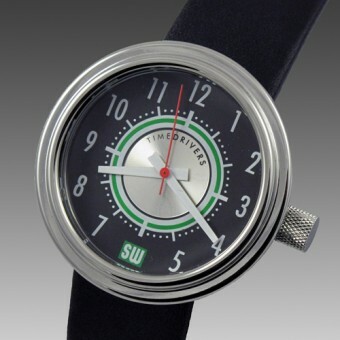 The Green line gauge also found favor with the custom car and hot rod set for it’s high contrast dial of flat black and radial brushed aluminum center, accented with a bold and distinctive green line. The polished stainless steel bezel contains a flat mineral glass crystal and the medium grain black leather strap with polished stainless steel buckle makes this a special watch.